Police are looking for a hit-and-run driver after a crash involving multiple cars on Sunday in Indianapolis. INDIANAPOLIS — Police are looking for the driver of a pickup truck that left the scene of a multi-car crash that injured at least one firefighter. 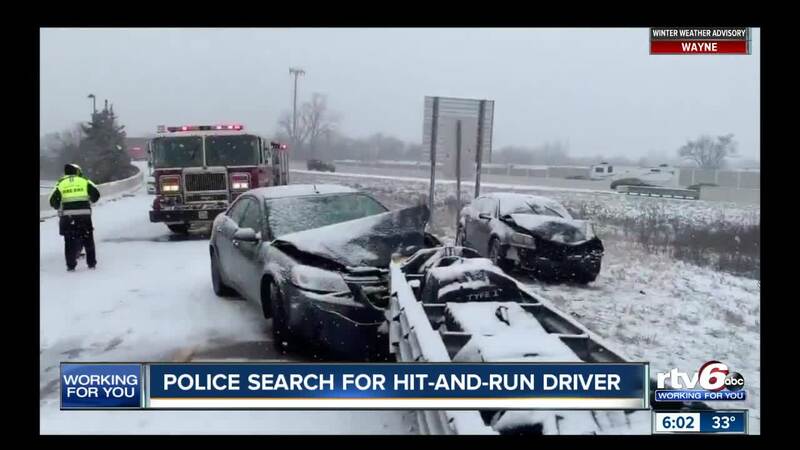 The owner of the red Ford pickup truck allegedly fled Sunday afternoon from the scene of an accident near Interstate 465 northbound and Rockville Road, the Wayne Township Fire Department said in a tweet. Three people and one firefighter suffered minor injuries in the crash. Anyone with information on the incident is asked to call Indiana State Police at 317-899-8577.